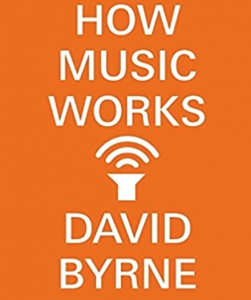 How Music Works by David Byrne is an interesting foray into the world of music-making, appealing to general history as well as delving into his personal experience with Talking Heads, Brian Eno and others. He explores social forces, technological changes and the fundamentals of acoustical harmony. There’s a lot about technology in this book; he covers the evolution of musical distribution from wax presses to mixtapes and micro-niche Spotify playlists, and also how technology has changed how music is produced (and created with computers these days), as well as where it is listened to – he explores the relationship between musicians and venues, and how music became “private” through technologies like the Walkman. Recommended if you are a fan of Byrne’s work with some interest in his creative process and the music industry.